Tropical North Queensland is as diverse in natural treasures as the cosmopolitan mix of cultures and peoples that call this region home. 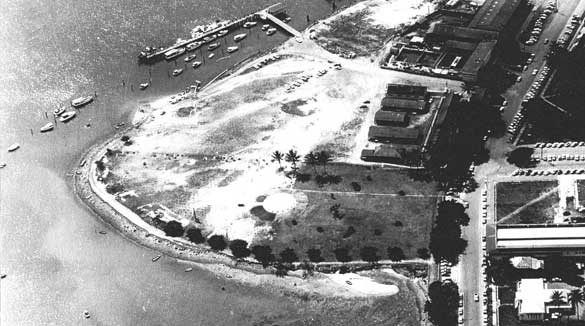 First to arrive were the Aborigines and Torres Strait Islanders...followed by the Dutch navigators and eventually Capt. James Cook, who claimed the coast for Britain and paved the way for European settlement to begin. Gold rushes and foreign wars brought immigrants from around the world to enrich the north with their skills, traditions and cultures. 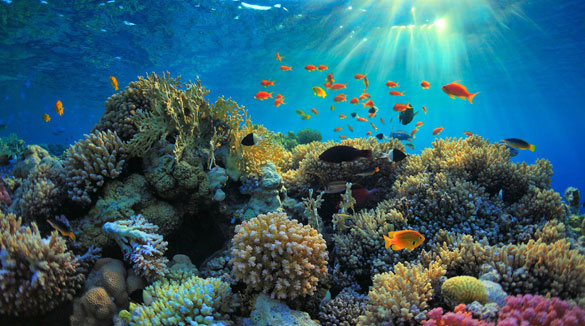 The majestic coral structures that make up the Great Barrier Reef extend over 1,500 kilometres, and are home to the greatest variety of flora and fauna species found in any one location in the world. The scope of the reef is magnificent, encompassing some 21,900 individual reefs and an area of 348,000 square kilometres larger than the combined total area of Ireland and the United Kingdom! 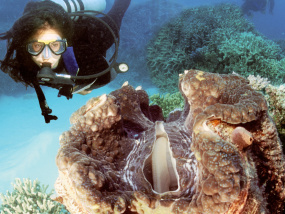 The Great Barrier Reef, now a national marine park, provides superb recreational activities such as snorkelling, diving, swimming, semi-submersibles, coral viewing and fishing, and offers a unique environment for scientific research. 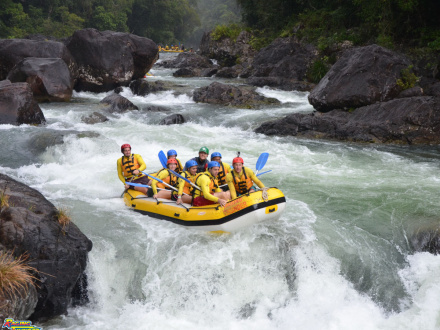 The World Heritage listed Wet Tropics are a major visitor attraction. If you're looking for further information, you'll find Wet Tropics Information Centres and displays located at Ravenshoe, Lake Barrine, The Big Croc Cafe in Daintree, the Daintree Rainforest Environment Centre, the Rainforest Habitat in Port Douglas, the Esplanade Visitor Information Centre, Mission Beach, Ingham, and at Copperlode Dam. The warmth of the tropical climate has fostered a vigorous outdoor lifestyle, reflected in the architectural styles of open verandahs and balconies and extending to the most traditional of Australian cuisine - the barbecue. 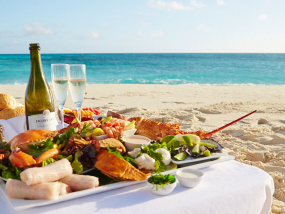 Dining is a high point of any holiday, and the cosmopolitan local restaurants, cafes and eateries offer an eclectic fare of Australian and international cuisine, the highlight of most menus featuring the region's mouth-watering fresh seafoods and unusual tropical fruits. Accommodation in the region is diverse too, ranging from luxury resorts and five star hotels to award winning budget style apartments and backpacker lodges. 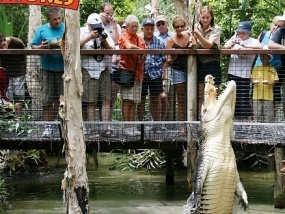 There are so many things to do in Cairns with a variety of unique attractions and activities on offer. 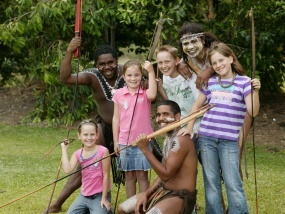 Delve into the world’s oldest living culture at Tjapukai Aboriginal Cultural Park, located just 15 minutes outside of Cairns City. This authentic Australian Indigenous experience combines live performances of music, dance and storytelling. Join a corroboree in the dance theatre, learn techniques of traditional hunting and test your aim with boomerang and spear throwing. 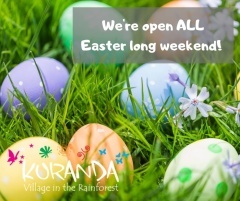 Up the hill is Kuranda Village where you’ll find galleries, market stalls and boutiques to occupy your time. A journey to and from Kuranda is arguably the highlight. Stunning beaches, spectacular hinterland and renowned rainforests set the scene, and there are no shortage of walks for you to take in the magnificent vistas of the region. 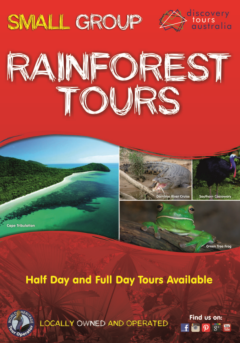 Cruise to the reef or islands, take a 4WD safari to the outback, trek into the rainforest or see it from the rainforest cableway above its green canopy on your way to or from Kuranda. Day touring in this region is so easy - there are over 600 trips to choose from, and our tourism industry and infrastructure is designed to ensure you, the visitor, will have a truly memorable holiday. 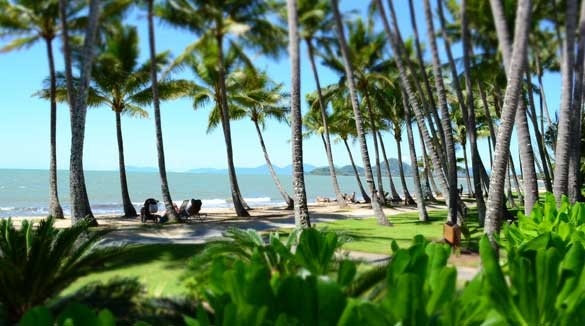 Just 15 minutes north from the Cairns International Airport you'll find Trinity Beach conveniently nestled between two headlands - providing an ideal bay area in which to enjoy the popular activities on offer. The palm fringed shores offer a peaceful haven for more relaxing pursuits. 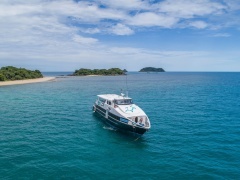 For the avid explorer why not join one of the many tours that depart Trinity Beach daily? 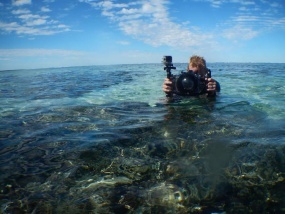 Cairns, the Gateway to the Great Barrier Reef, is a 1700 km drive from Queenslands State Capital - Brisbane. It is possible to drive to Cairns from Brisbane on Highway This takes at least 2 days but is best driven over the course of a week or so to take in all of the sights along the way. It is a 2 hour flight from Brisbane and a 3 hour direct flight from Sydney. 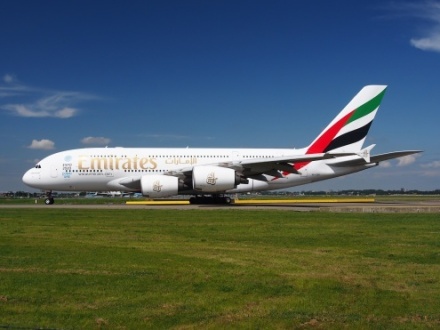 Check our Flight times page to see Cairns Airport arival and departure times. Airlines serving Cairns Domestic terminal include Qantas, Jetstar and Virgin Blue. Aside from the superbly co-ordinated day tours which depart Cairns, there is a great deal of scenic and interesting terrain which you can explore at your leisure with a hire car and a few well chosen, informative maps. 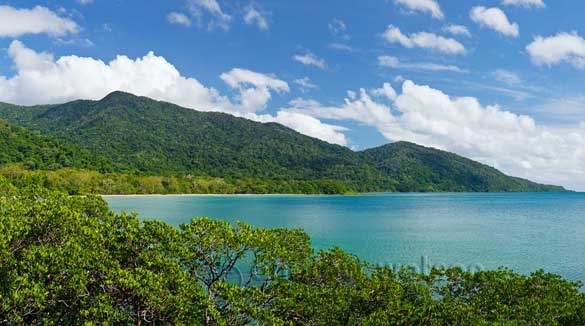 Travel north along one of the worlds most scenic coastal drives to Port Douglas and Mossman, explore the pretty township of Daintree and cross the river into the national parks of Cape Tribulation and the historical settlement of Cooktown. Don't miss the opportunity to drive up the beautiful Kuranda range and picnic at some of the scenic water spots that dot the Tablelands. There is a wealth of history waiting to be discovered and you'll find information on places of interest easy to come by - just stop and ask a local! 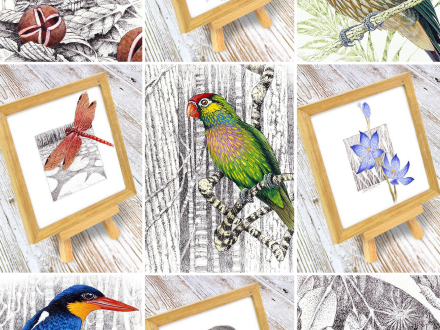 The southern Tablelands and the national parks of Bellenden Ker are home to a rich botanical world and one of the best ways to explore is to follow the Bellenden Ker Heritage Trail. Another route for self drive enthusiasts to consider is the Great Ring Road - some 1200kms of touring which takes in the entire Tropical North. Whatever your tastes, our tropical region has a style of accommodation that will match your expectations. From boutique hotels to bed and breakfast, five star to backpacker-style familiarity the choice is yours. There are superb remote lodges nestled in the rainforest, lakeside cabins, international city hotels, serviced apartments, beachside bures - whatever you like. 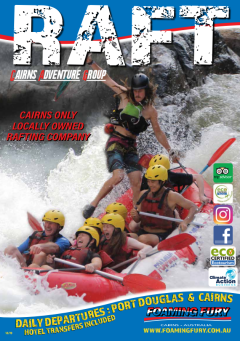 Cairns is the heart of the Tropical North, and as such provides an ideal base for exploring and enjoying the rich, varied pleasures of this region. Founded in 1876 as the port for inland goldfields, Cairns has matured from a flighty frontier town to friendly international gateway and has become the most welcoming of all Queensland cities. In 1995 it was named Australia's most liveable regional centre, which is reflected in its growing population of some 100,000 residents. Almost a century of architecture, from traditional Queensland hi-set to modern high rise, blend on the tree lined streets. 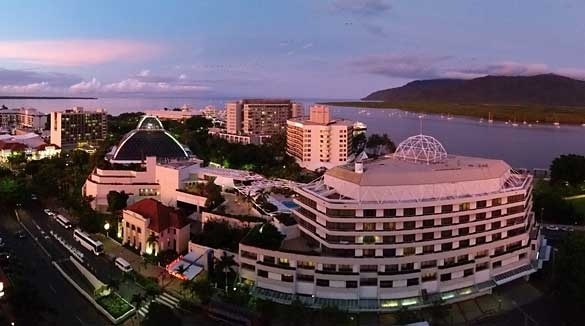 Much of the holiday accommodation is close to shops, restaurants, theatres, galleries, nightclubs, the glass-domed Casino and the Cairns Convention Centre. 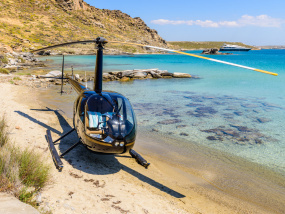 The airport is only a short drive from the city and visiting cruise liners and yachts moor at a marina and wharves only a block from the main centre. The Esplanade is a major focal point of the city, and invites you to stroll, fly a kite, relax on the grass under a shady tree, or share a barbeque or picnic with friends. At any time of the year, you'll see the flocks of different birds which migrate annually from around the world to feed on the tidal mudflats, much to the delight of the world's birdwatchers who pack cameras and binoculars and follow them here. Excellent swimming beaches begin to the north and south of the city, and most holiday accommodation has a pool. 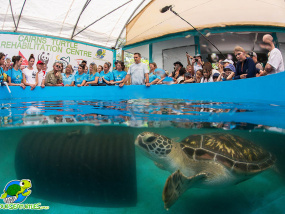 Each day, over 600 sea, air and land tours depart from Cairns to nearly every part of the Tropical North, with most including pick-up and return to holiday accommodation. City shops and duty free stores are well stocked with souvenirs and luxury goods from top Australian and overseas designers. There are large shopping centres in the suburbs, and buyers and browsers will find much to choose from amidst the city's many arcades, plazas and malls. Cairns' Regional Art Gallery has permanent and special exhibitions and private galleries sell original works by resident artists. Restaurants, bistros, cafes, coffee shops and food halls open from early morning to late evening. 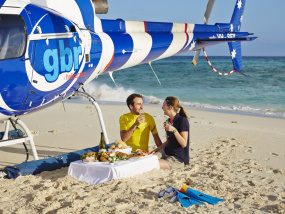 Menus range from genuine Australian bush tucker to the tastes of home for overseas visitors. On the city's northern fringe, within walking distance of each other, are the Tanks Art Centre, and the century-old Botanic Gardens which include spectacular walks through the Mt Whitfield rainforest and the relaxing Centenary Lakes. Cairns is also reputed to be the second most desired location in Australia for a tropical wedding due to the relaxed ambience and sheer beauty of the region and quite a number of wedding service professionals have relocated to Cairns to offer couples the same standard of high services and facilities that you will find in the major capital cities but with the world heritage Great Barrier Reef and the rainforests as their wedding locations and backdrop. 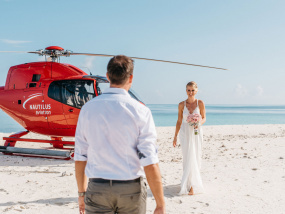 If you are planning on having your wedding in Cairns or the northern beaches like Trinity Beach, Palm Cove or Port Douglas then make sure you Register Your Wedding first to see who the local wedding suppliers are for that region. 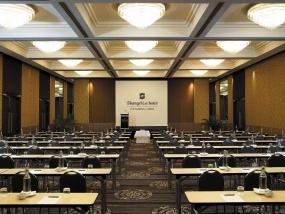 Register Your Wedding will be your saviour when planning your wedding week in Cairns Queensland Australia. This coastal region is framed by two features of such pristine beauty and exceptional value they have been listed by the World Heritage Society and today rank in importance with Americas Grand Canyon and the renowned Galapagos Islands. These two natural features, now acclaimed as amongst the world's most wonderful assets are The Great Barrier Reef and The Wet Tropics Rainforests. The main gateway to Cairns is its airport, which has international, domestic and general aviation terminals, and is served by major international, national and state air carriers. International visitors can fly direct to Australia with Cairns as their point of entry, with flights from:Air New Zealand, Hong Kong, Japan, Korea, Taiwan, Papua New Guinea, Singapore, Indonesia, Malaysia, Thailand, Europe & the UK, and outbound to these destinations and to the United States of America. Within Australia, Qantas, Jetstar, Virgin Blue, Sunstate, Flight West Air Link and local charter companies provide regular flights from major southern cities and regional Queensland towns. Live Flight Infomation is updated in real-time where you can see both arrival and departure times of flights around the region. Contemporary, comfortable and designed for relaxation, the newest addition of the Queensland Rail Travel fleet offers new features that will redefine the modern rail travel experience. 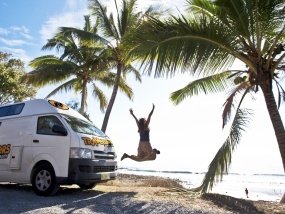 The Spirit of Queensland travels the state's coastline from Cairns to Brisbane and all regions in between with five return services per week. For those wanting a new Rail experience along the Queensland Coast the Spirit of Queensland is for you, offering modern comforts for all guests. If you are after the latest in long distance comforts Spirit of Queensland has to offer, than the Railbed is the one to choose. With Spirit of Queensland's modern state of the art features, you will enjoy travelling in your spacious seat by day and lie flat bed (RailBed) by night with all linen provided including sheets, duvet and pillow for your comfort. For an excellent source of information on all the rail trips in Queensland, please visit the Queensland Rail website. Coach travel is an efficient and enjoyable way to see the countryside, and major coach companies operate luxury, air conditioned vehicles with express services between major Australian cities and Cairns. 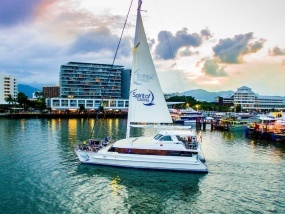 The Cairns district is well serviced with marinas for the boating enthusiast, and an increasing number of overseas cruise ships call at the port of Cairns regularly - your travel agent will have up to date information on what cruise companies are offering. All international visitors require a current passport, and a visitors' visa (excepting New Zealand residents), so check carefully before finalising your travel plans. If you're planning a working holiday, there are formalities to be observed so make inquiries at your local Australian consulate. Limitations apply to bringing in many items including quotas for tobacco products, alcohol, motor vehicles and other personal possessions - details can be obtained from an Australian Custom Booklet. As Australia is an island, strict quarantine regulations apply to plants and food items so again please ask before you embark. There are no compulsory immunisations required before arriving in Australia unless travellers have been in a quarantine zone within 14 days preceding arrival. Travellers journeying to Far North Queensland via tropical countries should seek medical advice about those countries before departing home. There are no entry and exit requirements between Australian states. Cairns Airport Transfer Services Bus shuttle services regularly pick up and set down travellers at most hotels and accommodation establishments. In addition to a public airport shuttle service, many hotels and motels have private transfer buses, so ask with your travel agent when booking your accommodation. 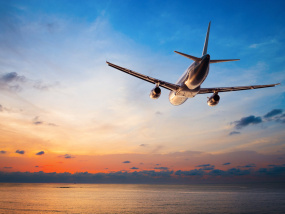 Major rental companies are represented at the airport, and there are many additional rental companies with offices in Cairns and larger towns. Reservations prior to arrival are recommended although not essential. In Australia, vehicles are right-hand drive and you travel on the left hand side of the road. Cairns is well serviced with excellent limousine fleets, and everything from airport transfers to limousine sight seeing tours can be organised upon request by phone. Reasonably priced, and available from cab ranks at airports, railway stations, coach terminals and other locations throughout the city and in smaller towns. Taxis can be hailed or booked by telephone. Public bus transport operates to all Cairns city areas, suburbs and beaches. Timetables are available at hotels and bus depots. Generally, any current drivers license is acceptable for driving in Queensland. Note, however, that interstate and international licenses are valid for a period of three months. Most major banks and some stores have electronic banking machines operating 24 hours per day at selected locations. Travellers cheques can be cashed at most banks, hotels and motels. Major credit cards are acceptable in most establishments. Foreign currencies can be exchanged at the airport, and at various Bureau de Change and foreign currency bureaus around the city, many of which are open 7 days a week. In many cases you will need to produce current, suitable identification to conduct financial transactions. The currency denominations in Australia are: $5, $10, $20, $50, $100 notes and 5c, 10c, 20c, 50c, $1, $2 coins. Post offices are open 8.30am until 5pm Monday to Friday. In Cairns, the main Post Office is on the corner of Grafton and Hartley Streets opposite the Cairns Convention Centre. Another central city post office, Orchid Plaza, is also open on Saturdays. Stamps may also be obtained from some hotels and motels as a guest service. Post offices or agencies operate in all towns. Wherever you travel in the Tropical North, you'll find authentic local souvenirs, art, craft, fashion, accessories and fresh local produce. There are many elegant shopping arcades, courts, plazas, galleries and boutiques where you will find the best of local, national and international products. Markets are very much part of the tropical lifestyle and you'll find a variety of bargains, local art and crafts and produce once you start exploring. In Cairns, there are the popular weekend Mud Markets at The Pier and the colourful Rusty's Bazaar Markets. 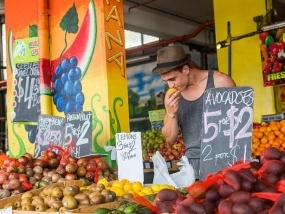 Port Douglas has a delightful seaside market every Sunday, Kuranda offers popular markets four days a week, and regional towns such as Atherton, Tolga, and Yungaburra have market days once a month. While many shops trade 7 days a week, the general opening hours of most shops in the Cairns city area tend to be Monday - Friday 8.00am - 9.00pm. Saturday trading is usually 8.00am to 5.30pm and Sundays 1.00pm - 8.00pm. Some shopping plazas such as The Pier are open later and trade 7 days a week, and there are many convenience stores dotted around the Far North that are open late hours. Cairns and Port Douglas have duty free stores and you can also purchase duty free items on arrival and departure at Cairns International Airport. Many other stores offer duty free prices to overseas visitors upon presentation of passports and travel documents. Cosmopolitan Cairns has much to offer after dark - whether your style is theatre or movies, discos or karaoke bars. 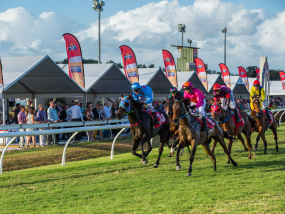 There are the pubs and bars where the locals will have a drink and a yarn with you, clubs where you can play the pokies and enjoy terrific live entertainment, or step inside the exciting world of the new Reef Casino and try your luck on the tables. For real life entertainment there are street buskers and a variety of performing artists in and around the taverns, clubs and bars where you can relax with the locals, who after all, are the best people to ask about what's on at night. Naturally, the tropical environment lends itself to a wealth of traditional outdoor pursuits such as golf, fishing, and all kind of water sports. Everything is easy to arrange - all you need to is decide which are the available options to take up! 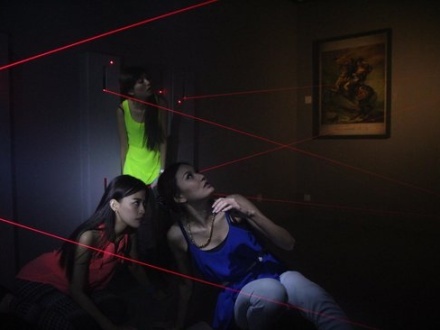 Many visitors find themselves taking up new interests. The North is a birdwatcher's delight, with many species of indigenous and migratory birds congregating at different seasons. The Cairns Esplanade and the area north of Mossman named Julatten are well known bird-watching venues. 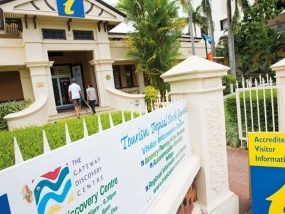 Most religious denominations are represented in Cairns, and services are frequent and accessible. Further details are easily available from your hotel concierge or accommodation reception. Cairns is well represented with medical services, with major hospitals capable of administering advanced and specialised medical care. An in-hotel general practitioner (GP) is available for visits by a local phone call, however it is recommended you consider purchasing travel insurance for your holiday. Like most tropical climates, Cairns has two distinct seasons; a winter period of balmy temperatures and low rainfall, and a summer period of warmer temperatures and tropical evening showers. Winter, or the 'Dry' season, as the locals call it, typically begins in May and ends in October and usually means idyllic weather - sunshine, fresh breezes and not too much humidity. The tropical summer season extends from November to April, and is known as the 'Wet'. Tropical downpours are common late afternoons and overnight, sometimes with dramatic lightning displays. There is a beauty about the monsoonal 'Wet' season and its soothing, greening effect that is very attractive. It is best to consider the climate you are anticipating when packing for your Cairns holiday. Remember to minimise your sun exposure and bring a good sunscreen, or buy one locally. Pack loose, comfortable clothing, walking shoes, one or two hats, swimwear and sunglasses. All venues accept a good standard of casual tropical dress, and you may care to pack a light jacket for evening wear in the winter. The domestic electricity supply is 240 volts, 50 cycles so keep this in mind when bringing personal appliances...Don't forget your camera!